Jordan, which was a colony of Great Britain until Second World War and gained independence after the war, is a sample of third world state with its weak economy, weak institutional capacity and weak socio-political cohesion between state and society. Third world states make the regime security’s reference object of security in their security policies. On the contrary, Jordan, with its security strategies becomes alternative to general third world security theories. By being an only Middle Eastern member of Human Security Network, which aims to take forward Human Security notion, Jordan distinguishes from the other Middle East and third world states. In this article, the motivation of prioritizing regime security and human security in Jordan will be examined. Ortadoğu’da Büyük Britanya sömürgesi iken İkinci Dünya Savaşı sonrası bağımsızlığını kazanmış olan Ürdün; zayıf ekonomisi, yetersiz kurumsal altyapısı ve toplum ile devlet arasındaki sosyo-politik oydaşmanın zayıflığı sebepleriyle bir üçüncü dünya ülkesi örneğidir. Üçüncü dünya ülkeleri, rejimi güvenliğin referans nesnesi haline getiren bir güvenlik konseptine sahiptir. Bu noktada bir üçüncü dünya ülkesi olması açısından Ürdün, uygulamaya çalıştığı güvenlik stratejisi ile hâkim üçüncü dünya güvenlik teorilerine bir alternatif oluşturmaktadır. İnsan güvenliği kavramını daha ileri bir noktaya taşımak için kurulan İnsan Güvenliği Ağı’na üye olan tek Ortadoğulu devlet olması açısından Ürdün, güvenlik politikası olarak rejim güvenliğinden insan güvenliğine geçişi ile Ortadoğu’daki diğer devletlerden ve benzeri üçüncü dünya ülkelerinden ayrılmaktadır. Bu çalışmada da Ürdün’ün rejim güvenliği ve insan güvenliğini önceleyen politikalarının ardındaki motivasyonlar incelenmeye çalışılacaktır. Jordan which was a colony of Great Britain until Second World War and gained independence after the war, is a sample of third world state with its weak economy, weak institutional capacity and weak socio-political cohesion between state and society. Third world states make the regime security reference object of security in their security policies. On the contrary, Jordan, with its security strategies becomes alternative to general third world security theories. By being an only Middle Eastern member of Human Security Network, which aims to take forward Human Security notion, Jordan distinguishes from the other Middle East and third world states. In this article the motivation of prioritizing regime security and human security in Jordan will be examined. Abu-Rumman, Mohamed A.A., “Ürdün’de 1989-2005 Arası Demokratik Dönüşüm”, Doktora Tezi, Ankara Üniversitesi Sosyal Bilimler Enstitüsü, 2009. Acharya, Amitav, “Regionalism and Regime Security in the Third World: Comparing the Origins of the ASEAN and the GCC”, Brian L. Job (Ed. ), The Insecurity Dilemma: National Security of Third World States içinde (s. 143-164), Colarado: Lynne Rienner Publisher,1992. Acharya, Amitav, “The Periphery as the Core: The Third World and Security Studies”, Strategies in Conflict: Critical Approaches to Security Studies Conference 1994, Toronto, 1995, March, ss. 1-19. Ağır Bülent S., “European Perspective of Human Security: From a Conception to Reality?”, Ivica Dordevic, Marina Glamotchak, Svetlana Stanarevic ve Jasmına Gacic (Ed. ), Twenty Years of Human Security: Theoretical Foundations and Practical Applications, Belgrad: University of Belgrad ve Institut Français de Geopolitique-Universite Paris 8,2015. 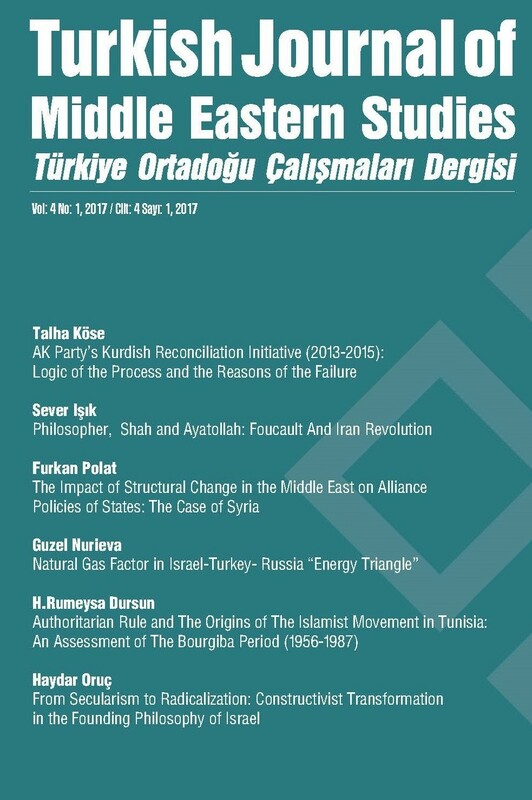 Ağır, Bülent S., Gürsoy , Barış ve Arman, Murat N., “European Perspective of Human Security and the Western Balkans”, Revista de Stiinte Politice, 2016, 50, ss. 41-54. Ayoob, Mohammed, “Inequality and Theorizing in International Relations: The Case for Subaltern Realism”, International Studies Review, 2002, 4(3), ss. 27-48. Ayoob, Mohammed, “Security in the Third World: The Worm about to Turn?”, International Affairs, 1983, 60(1), ss. 44-51. Ayoob, Mohammed, “The Security Problematic of the Third World”, World Politics, 1991, 43(2), ss. 257-283. Ayoob, Mohammed, “The Third World in the System of States: Acute Schizophrenia or Growing Pains?”, International Studies Quarterly, 1989, 33(1), ss. 67-79. Bajpai, Kanti, “The Idea of Human Security”, International Studies, 2003, 40(3), ss. 195-228. Barnett, Michael ve Wendt, Alexander, “The Systemic Sources of Dependent Militarization”, Brian L. Job (Ed. ), The Insecurity Dilemma: National Security of Third World States içinde (s. 97-119), Colarado: Lynne Rienner Publisher,1992. Beck, Martin ve Hüser, Simone, “Jordan and the ‘Arab Spring’: No Challenge, No Change?”, Middle East Critique, 2015, 24(1), ss. 83-97. Buzan, Barry, People, States and Fear: The National Security Problem in International Relations, New York: University of North Carolina Press,1983. Cardenas, Sonia ve Flibbert, Andrew, “National Human Rights Institutions in the Middle East”, Middle East Journal, 2005, 59(3), ss. 411-436. Csicsmann, Laszlo, “Responsible Freedom and National Security: Liberalisation and De-Liberalisation in Jordan under King Abdullah II”, Society and Economy, 2007, 29(1), ss.103-122. Cunningham, Karla J., “Factors Influencing Jordan's Information Revolution: Implications for Democracy”, Middle East Journal, 2002, 56(2), ss. 240-256. Greenwood, Scott, “Jordan's New Bargain: The Political Economy of Regime Security”, Middle East Journal, 2003, 57(2), ss. 248-268. Hampson, Fen O., “A New Role for Middle Powers in Regional Conflict Resolution?”, Brian L. Job (Ed. ), The Insecurity Dilemma: National Security of Third World States içinde (s. 37-80), Colarado: Lynne Rienner Publisher,1992. Hantzopoulos, Maria ve Shirazi Roozbeh, “Securing the State through the Production of ‘Global’ Citizens: Analyzing Neo-Liberal Educational Reforms in Jordan and the USA”, Policy Futures in Education, 2014, 12(3), ss. 370-386. Holsti, Kalevi J., “International Theory and War in the Third World”, Brian L. Job (Ed. ), The Insecurity Dilemma: National Security of Third World States içinde (s. 37-80), Colarado: Lynne Rienner Publisher,1992. Job, Brian L., “The Insecurity Dilemma: National,Regime, and State Securities in the Third World”, Brian L. JoB (Ed. ), The Insecurity Dilemma: National Security of Third World States içinde (s. 11-35), Colarado: Lynne Rienner Publisher,1992. Kaygusuz, Özlem, “Devlet İnşası ve Küresel Güneyde Güvenlik: Güçlü Devlet Arayışının Kuramsal ve Siyasal Açmazları”, Uluslararası Hukuk ve Politika, 2014, 10(39), ss. 27-61. King Abdullah II., “Jordan's Security Backbone: Pluralism and National Unity, the Thoughts of His Majesty King Abdullah II of Jordan”, World Policy Journal, 2013, 30(3), ss. 31-47. Knowles, Warwick, Jordan Since 1989: A Study in Political Economy , New York: I.B. Tauris,2005. Köprülü, Nur, “Consolidated Monarchies in the Post-‘Arab Spring’ Era: the Case of Jordan”, Israel Affairs, 2014, 20(3), ss. 318-327. Krause, Keith ve Jütersonke, Oliver, “Peace, Security and Development in Post-Conflict Environments” Security Dialogue, 2005, 36(4), ss. 447-462. Krause, Keith, “Theorizing Security, State Formation and the 'Third World' in the Post-Cold War World”, Review of International Studies, 1998, 24, ss. 125-136. Lewis, Bernard, Ortadoğu. Çev. Selen Y. Kölay, 3. Baskı, Ankara: Arkadaş Yayınevi,2003. Lobell, Steven E., “The Second Face of American Security: The US-Jordan Free Trade Agreement as Security Policy”, Comparative Strategy, 2008, 27(1), ss. 88-100. Milton-Edwards, Beverley, “Facade Democracy and Jordan” British Journal of Middle Eastern Studies, 1993, 20(2), ss. 191-203. Mufti, Malik, “Elite Bargains and the Onset of Political Liberalization in Jordan”, Comparative Political Studies, 1999, 32(1), ss. 100-129. Ovalı, Şevket A., “Ütopya İle Pratik Arasında: Uluslararası İlişkilerde İnsan Güvenliği Kavramsallaştırması”, Uluslararası ilişkiler, 2006, 10(3), ss. 3-52. Pegram, Tom, “Global human rights governance and orchestration: National human rights institutions as intermediaries”, European Journal of International Relations, 2015, 21(3), ss. 595-620. Perez, Michel V., “Human rights and the rightless: the case of Gaza refugees in Jordan”, The International Journal of Human Rights, 2011, 15(7), ss. 1031-1054. Reed, Stanley, “Jordan and the Gulf Crisis”, Foreign Affairs, 1990, 69(5), ss. 21-35. Robinson, Glenn E., “Defensive Democratizationin Jordan”, International Journal of Middle East Studies, 1998, 30, ss. 387-410. Spindel, Chad, “The People Want to Topple the Regime Exploring the Arab Spring in Egypt, Syria, and Jordan”, SAGE Open, 2011, ss. 1-7. Tal, Lawrence “Is Jordan Doomed?”, Foreign Affairs, 1993, 72(5), ss. 45-58. Tal, Lawrence, “Peace for Jordan?”, The World Today, 1993, 49(8), ss. 168-171. Thomas Raju G.C., “What Is Thırd World Securıty?”, Annual Review of Political Science, 2003, 6, ss. 205-232. Tuastad, Dag, “A Threat to National Unity – Football in Jordan: Ethnic Divisive or a Political Tool for the Regime?”, International Journal of the History of Sport, 2014, 31(14), ss. 1774-1778. UNDP, Human Development Report 1994, New York:Oxford University Press,1994. United States Department of State, Jordan 2015 Human Rights Report, Washington DC: U. S. Government Printing Office,2015. Yeşilyurt, Nuri, “Jordan and the Arab Spring: Challenges and Opportunities”, Perceptions, 2014, 19(4), ss. 169-194. Yeşilyurt, Nuri, “Ürdün'ün Bölgesel Konumu: Küçük Devlet Kavramı Çerçevesinde Bir İnceleme”, Ankara Üniversitesi SBF Dergisi, 2015, 70(2), ss. 377-401. Human Security Unit, “Strategic Plan: 2014-2017”, New York:United Nations, https://docs.unocha.org/sites/dms/HSU/HSU%20Strategic%20Plan%202014-2017%20Web%20Version.pdf, Erişim Tarihi: 27.09.2016. KingAbdullah, “Initiatives”, http://kingabdullah.jo/index.php/en_US/initiatives/listing/cid/1.html, Erişim Tarihi:24.05.2016. MOPIC, “We are all Jordan - Final Declaration”, http://inform.gov.jo/en-us/By-Date/Report-Details/ArticleId/16/We-are-all-Jordan-Final-declaration, Erişim Tarihi: 22.09.2016. NORAD, “Norwegian Aid Statistics”, https://www.norad.no/en/front/toolspublications/norwegian-aid-statistics/, Erişim Tarihi: 24.10.2016. Shihab-Eldin, Ahmed, “Jordan First: A King’s Modernization Motto Obscures a Palestinian Past and Iraqi Present”, http://www.huffingtonpost.com/ahmed-shihabeldin/jordan-first-a-kings-mode_b_148589.html, Erişim Tarihi: 20.05.2016. Stoffel, Derek, “Syrian refugee crisis: How Canadian money is helping”, http://www.cbc.ca/news/world/jordan-syrian-refugees-marie-claude-bibeau-1.3427721, Erişim Tarihi: 15.05.2016. An-Naim, Abdullahi A., “Human Rights in the Arab World: A Regional Perspective”, Human Rights Quarterly, 2001, 23(3), ss. 701-732. Awad, Muhsin, “Human rights in the Arab World (2009–10): the impact of wasted chances and the consecration of human rights violations”, Contemporary Arab Affairs, 2011, 4(1), ss. 51-61.